Connect all of your employees, reach them anytime, anywhere and engage them in a way that they want. Watch your business thrive with the results. Are staff limited to when they can view company information? With Oplift Engage, staff can access company information wherever and whenever they want to, meaning it can fit around them. Are your staff always rushed off their feet? Oplift can fit in with employee’s lifestyles, as they can keep updated on their commute, on their lunch break, or during downtime at work or home. 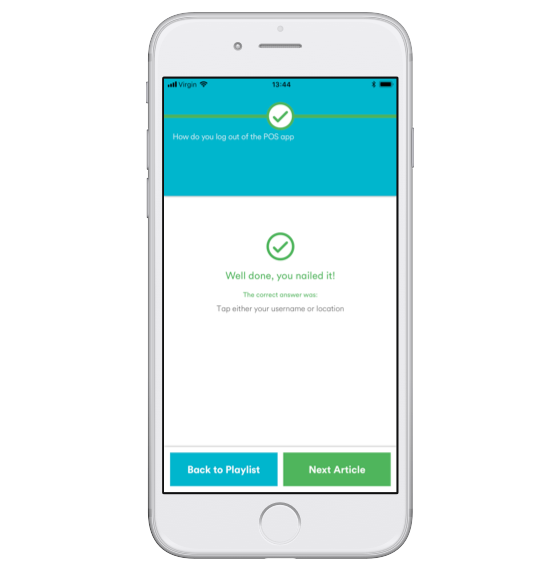 With Checklists on Oplift Engage, staff can accurately check tasks and raise issues to head office automatically. This means less waiting around for problems to be fixed, as staff are listened to right away. Virgin Media reduced the time it took to do their checklists by 80%! Staff find it hard to stay up to date with everything company related? The micro-learning feature on Oplift Engage means staff can top up their knowledge every day, ensuring they are always in the know! It takes too long to find everything they need? When your customers are equipped with a smartphone it can mean they have more knowledge at their fingertips than your staff. The home dash and search feature on Oplift Engage means employees can find anything they need to do their job. They can quickly link to content and tools, in and out of Oplift. No more struggling for answers! Staff are limited with help from senior members? 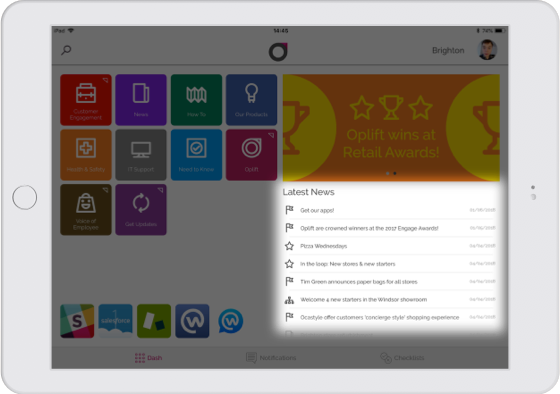 Oplift Engage’s article feature allows you to create content which employees can find in seconds! How-to guides, help guides, product guides, company guides, customer guides, anything! No more rooting through folders or waiting for help. 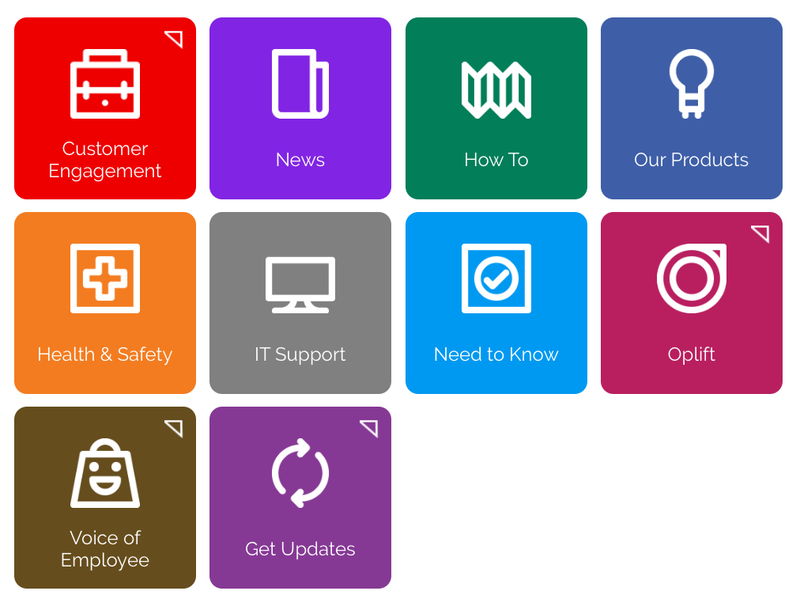 Create bespoke solutions that your employees actually want to use. 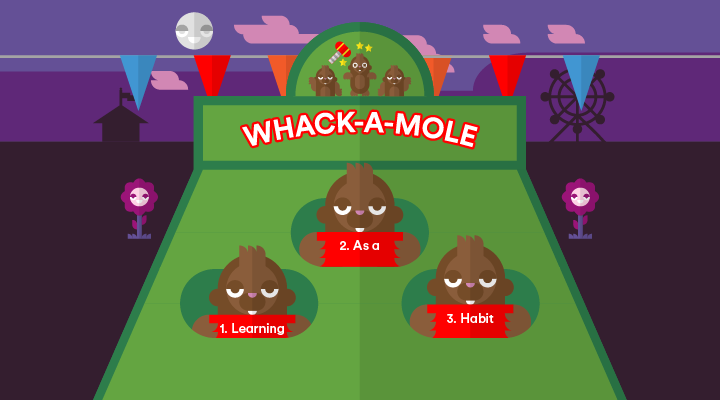 Virgin Media found that 65% of employees play in their own time, and 97.5% like or love playing Albert Virgin Media’s e-learning game. Virgin Media saw an increase of 7.4% in their knowledge ratings from customers in just three months! Along with a 2.2% average increase in sales, every single month! Your articles aren’t engaging enough? 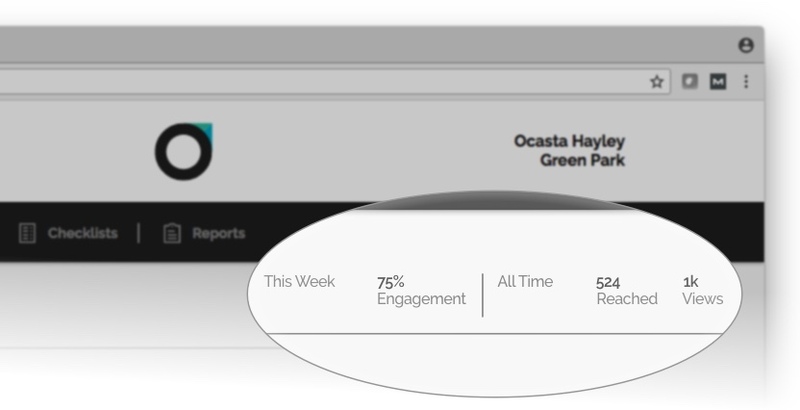 Oplift’s engagement tracking feature allows you to see how many people have engaged with your internal communications. This means you can start tailoring your articles for maximum engagement and creating content that staff want to read. Are you unsure which areas your staff find most useful? Oplift allows you to see which categories are most and least popular on your dash. This allows you to see which categories your employees use the most. You’re not sure who has read what? 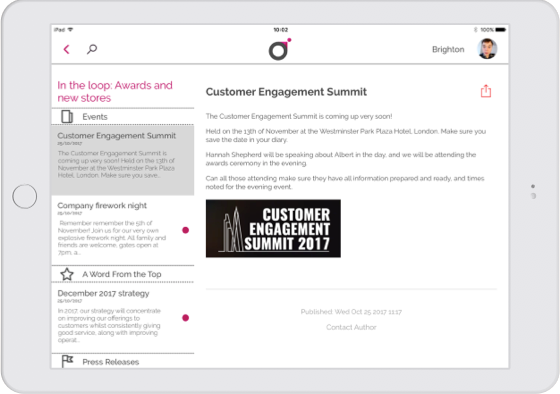 With Oplift Engage you can get staff to acknowledge that they have read articles and prompt them to read them, if they haven’t already. Perfect for compliance documentation. Staff find it difficult to stay updated? All of your latest news shows up in a feed on your dash, meaning staff are always kept up to date. Staff feel disconnected from head office? Oplift Engage closes the gap between head office and staff, meaning getting messages out is fast, simple, and effective; pulling everyone closer together. Messages will come direct from head office, rather than filtered down to staff, which makes them feel isolated. Staff always missing your news? Do staff miss your news the first time around and then never read them again? Our news summary feature means you can automatically pull all recent important communications into one easy to read page. You can send a push notification out letting everyone know! Great for a recap of the week’s previous news. Do you wonder if your staff actually care about your news? The news summary allows you to see which articles staff have and haven’t read. Are employees not reading their emails fast enough? 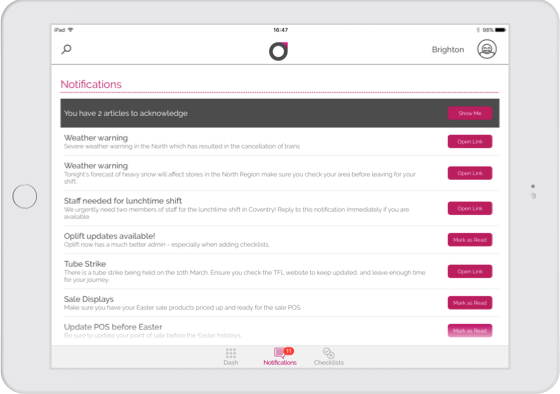 The notification feature on Oplift Engage means you can cut through the inbox clutter and send out notifications immediately, to the right people, at the right time. 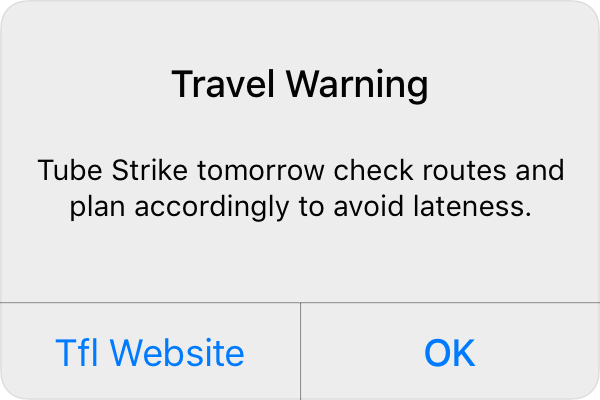 These are sent even when the app is closed, meaning your messages are brought to attention anytime and anywhere. Employees aren’t taking action fast enough? All notifications can have a call to action included. You could link to an internal article, an external webpage, an app, or an internal news post. Action can be taken immediately! Your staff don’t enjoy engaging with your information? 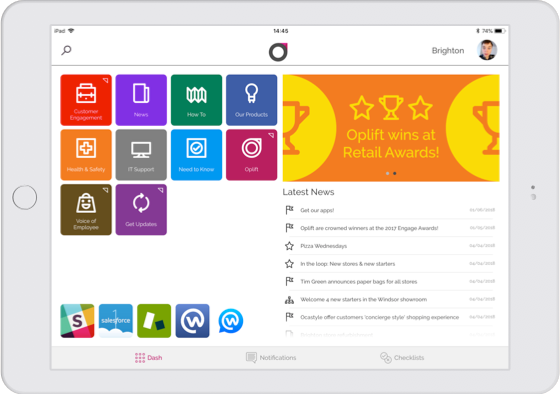 No more bland PDFs, word documents, print outs, or share points. With Oplift you get branded, easy to read information, which is broken down to make it more palatable. Not all staff can read company information? Oplift is readable, meaning no more struggling with hand writing. 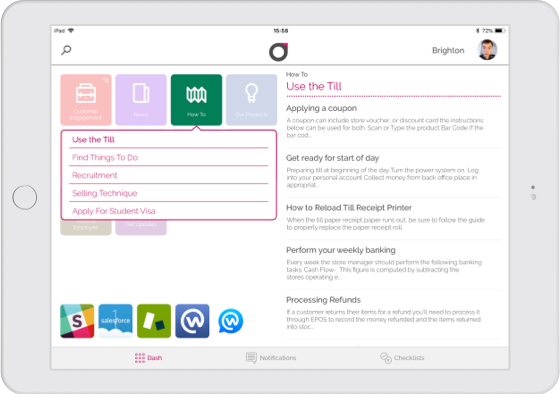 Screen reading means it is accessible for anyone with impaired or no vision. 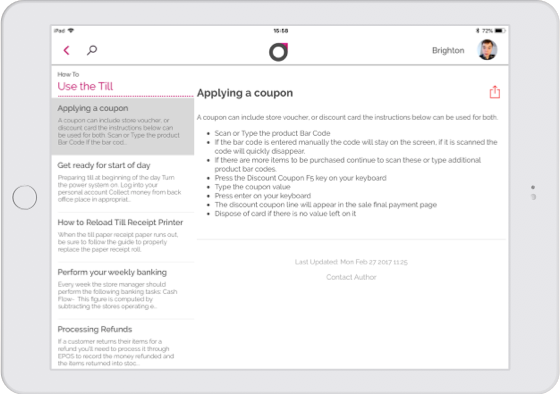 All content is zoomable, so no more struggling with small print. Staff reviews take up too much time? Easily carry out staff performance reviews wherever you are. 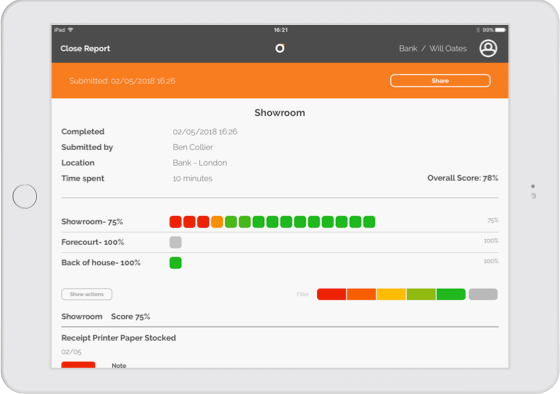 No more lengthy review processes as you can assess, write up notes, and assign actions, all in one go. Your staff all fall at the same hurdle? An overall score and colour report will show after each assessment. This allows you to gather oversights and data for each person in your business. You can find trends and issues across different areas of your business. You don’t have to struggle with collecting data from various different sources and producing a report yourself, which takes time and isn’t always reliable. 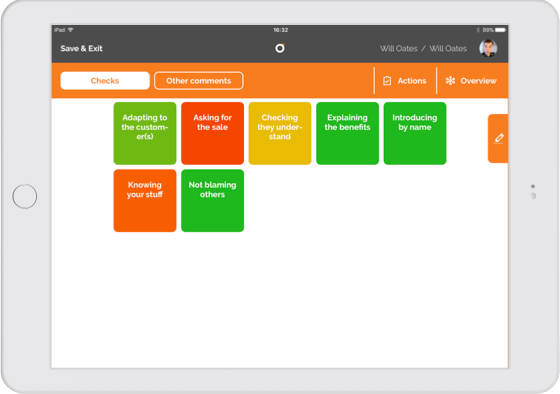 Assessors can save time and easily collecting insights with a yes or no answer, a vibe feeling which is a sliding coloured rating scale, or preconfigured answer. They can snap photos for reference and add notes for extra information. Managers can set actions for the employee to complete before their next assessment. Meaning conversations aren’t forgotten. Staff are continually learning, achieving goals, and improving their performance.